In 1722, François Fromageot acquires the seigneury of Monthelie and gives it in dowry to his daughter Jeanne, who marries François Brunet d' Antheuil in 1723. It is they who in 1746 built the present Château. They then take Brunet de Monthelie's name. 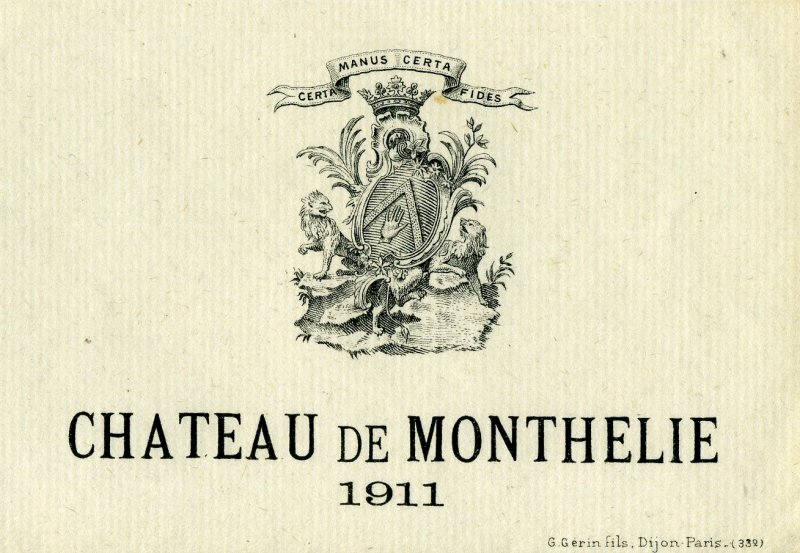 The Brunet family will keepthe Château for about 150 years thanks to alliances with the Suremains, the Drouas, the du Chézauds and the Surgets. In 1903, it is Albert de Suremain (the great-grandfather of Éric) who inherits it. His son Robert (the grandfather of Éric) settles down there in 1930 with his wife Germaine.. 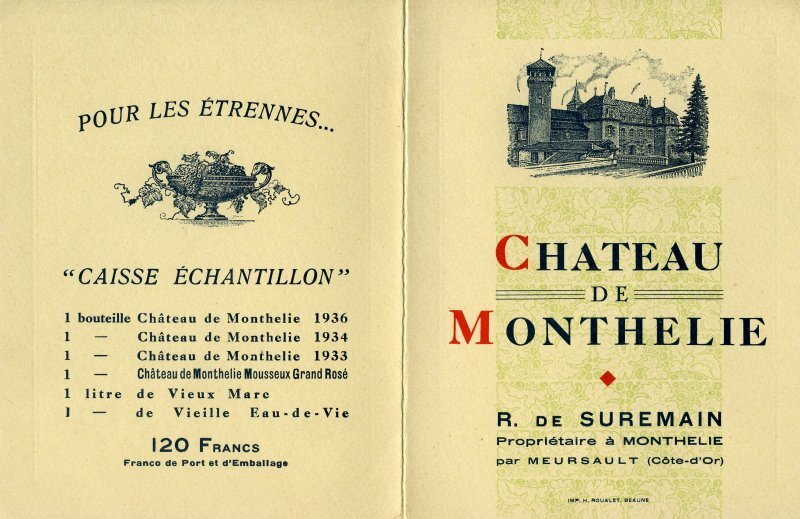 He exploits the vineyard of Monthelie and Rully (property of his wife) It is he who registers, with the INPI, the marque ‘Château de Monthelie’, under which wines of the domain are still marketed today. 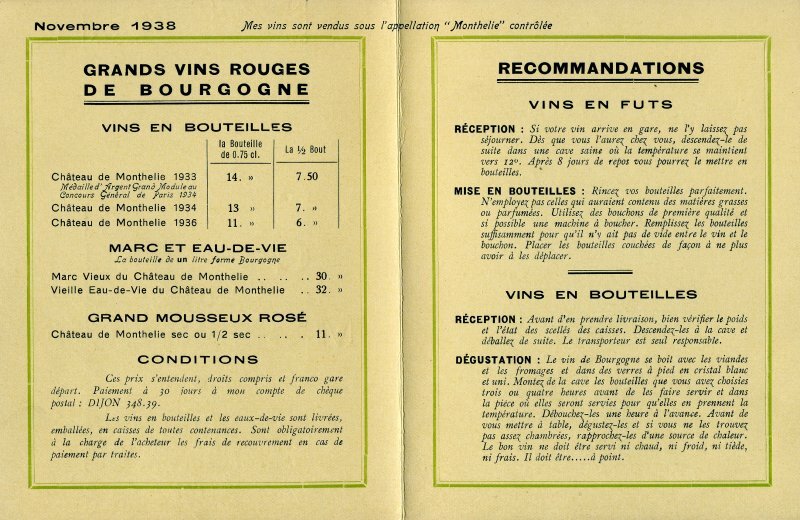 Bernard, one of Robert’s 4 children, will settle down in the domaine in 1956. Éric will join his father and his grandfather in 1978, at the end of his studies. In 1983, Éric and Dominique get married and take up together the management of the operation. Some cellars are much older than the main house and testify that wine was made here for a very long time.